FIRE fighters were called to help two people trapped in their car after it was crushed by a tree earlier this afternoon. 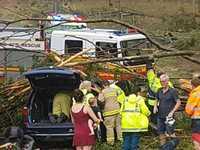 The tree fell during today's severe storm and trapped the pair at about 2.25pm on Rawlings Rd at Deebing Heights. A Queensland Ambulance spokesperson said there were no serious injuries as a result of the accident and that the people were freed by 2.40pm. QAS also reported a 56-year-old woman was injured at 2.55pm after she fell in Riverlink Shopping Centre. A QAS spokesperson said there were reports she was "blown over by a gust of wind" due to the roof damage inside the centre. She was transported to Ipswich Hospital in a stable condition. Riverlink has responded, saying investigations are ongoing into a report that a customer slipped over and may have been injured during the storm. "Gutters clogged by leaves and debris overflowed in the eastern mall causing minor flooding in some tenancies," a Riverlink spokesperson said. "The result of this flooding saw the eastern mall closed for a short period while water was mopped up. Two shade sails were also ripped down by the winds and torrential rain. "Riverlink centre manager, Paul Kelsey, said there will be minimal, if any, disruption to regular trade tomorrow morning and it will be business as usual at the centre." 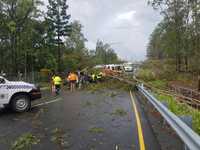 QUEENSLAND Ambulance Service has been called to multiple areas around Ipswich following today's storm. A QAS spokesperson said paramedics were on the way to a number of cases in the area, with details of the injuries yet to be specified. The SES has been called to 45 jobs in Ipswich so far with reports of trees down, damaged roofs and leaks. Energex has revealed more than 7000 customers are out of power in south-east Queensland with 5,100 of those being in the Ipswich area. In the Somerset region 287 have lost power with 114 people in the Scenic Rim and 1486 in Brisbane suffer the same fate. No homes in the Lockyer Valley are without power so far, reports Energex. HEAVY rain, hail and power outages have hit the Ipswich area in the last half hour. Reports are coming in of damage to cars and homes, large trees blocking roads and trees on cars. The storm has been described by some as "crazy" and like a "mini cyclone" by others. 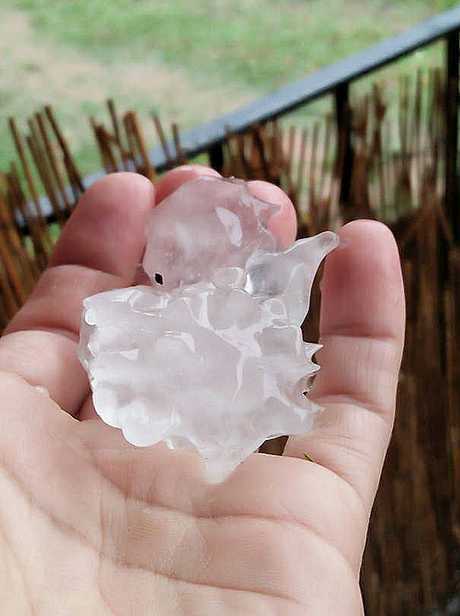 Small hail was spotted in West Ipswich and Bundamba while Bellbowrie and Yamanto saw larger hail stones fall. Riverlink car park is also flooded in parts and reports are coming in of tree branches falling in One Mile. 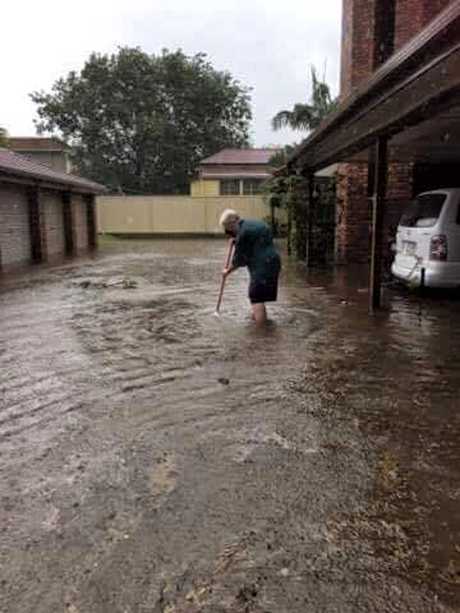 The State Emergency Service is reminding residents to take care during the storm and not to cross any flood water while driving. Contact the SES on 132 500 for any flood or storm emergencies. STORMS could well be on the way for Ipswich and have already hit Boonah in the Scenic Rim. A Bureau of Meteorology spokesperson said while storms would not be as severe as the weather further west, Ipswich should be prepared for storm activity today and later in the week. "Boonah is getting storms now which show severe characteristics," the spokesperson said. "People in Ipswich should expect a storm in the next few hours." Storms are also forecast for Tuesday, Wednesday and Thursday next week. 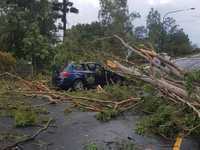 Ipswich experienced heavy rain and strong winds.